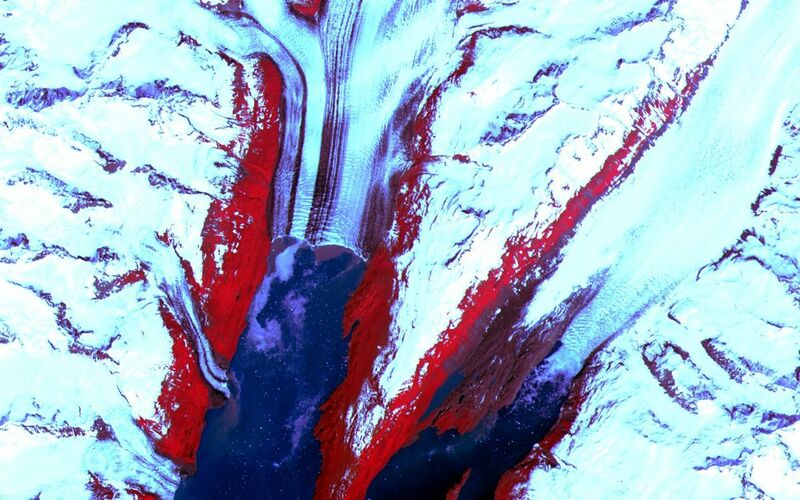 The College Fjord with its glaciers was imaged by ASTER on June 24, 2000. This image covers an area 20 kilometers (13 miles) wide and 24 kilometers (15 miles) long in three bands of the reflected visible and infrared wavelength region. 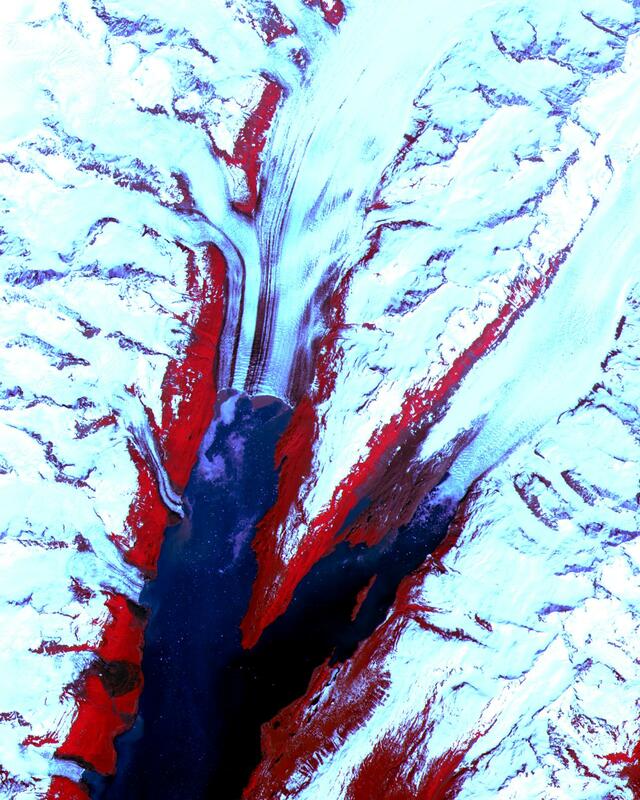 College Fjord is located in Prince Williams Sound, east of Seward, Alaska. 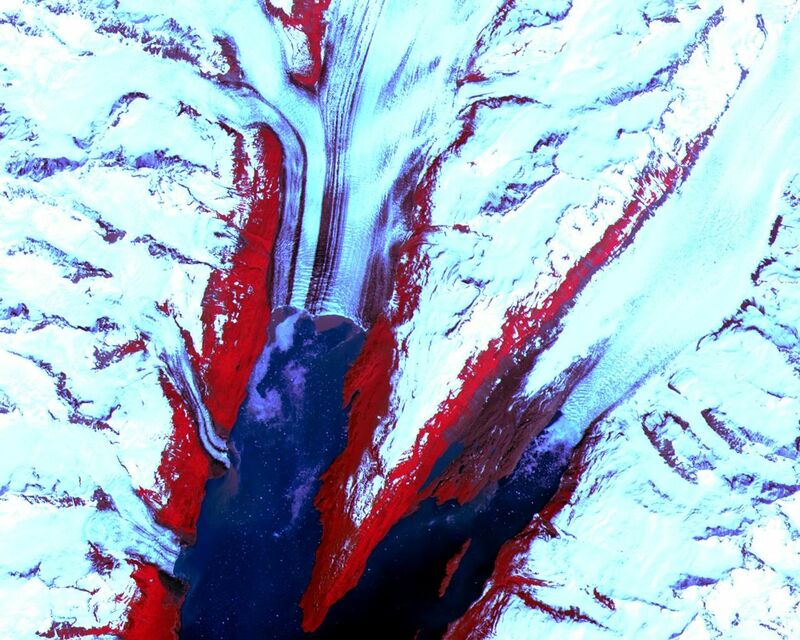 Vegetation is in red, and snow and ice are white and blue. Ice bergs calved off of the glaciers can be seen as white dots in the water. 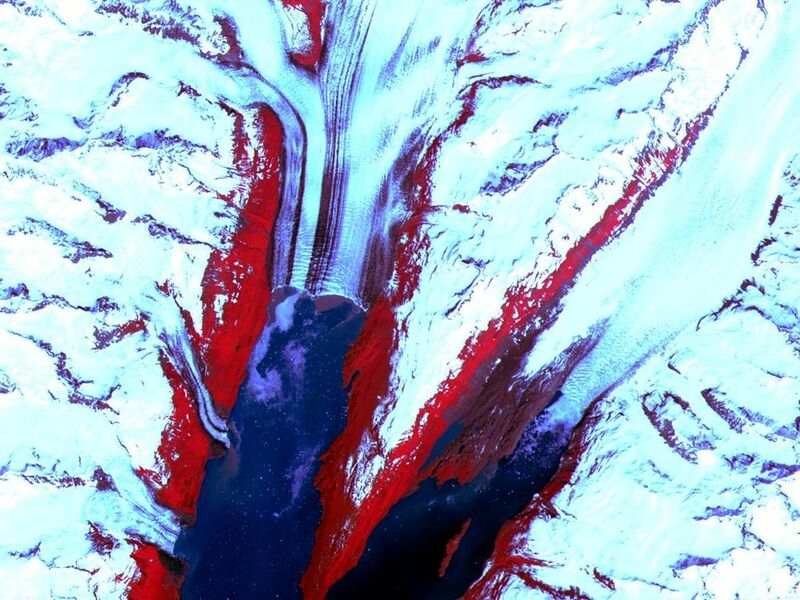 At the head of the fjord, Harvard Glacier (left) is one of the few advancing glaciers in the area; dark streaks on the glacier are medial moraines: rock and dirt that indicate the incorporated margins of merging glaciers. Yale Glacier to the right is retreating, exposing (now vegetated) bedrock where once there was ice. On the west edge of the fjord, several small glaciers enter the water. This fjord is a favorite stop for cruise ships plying Alaska's inland passage. This image is located at 61.2 degrees north latitude and 147.7 degrees west longitude.